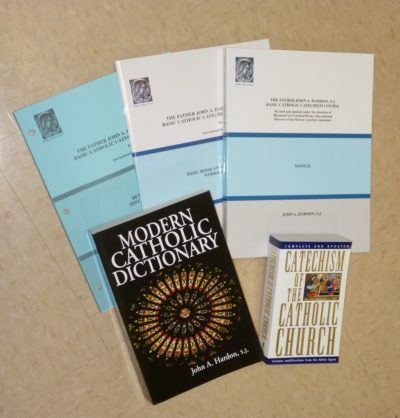 From the Forward: In accord with the directives of the Apostolic See, Marian Catechists employ a twofold vademecum in their apostolate: the Catechism of the Catholic Church for doctrine and the General Directory for Catechesis for catechetical method. 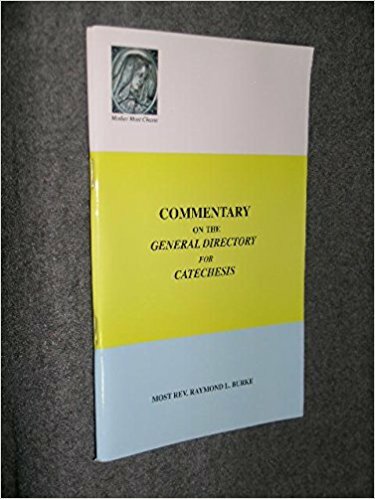 Father Hardon, with whom I had been working for the promotion of the Marian Catechists, became aware of a commentary on the General Directory for Catechesis which I had written for the faithful of the Diocese of La Crosse. The commentary was originally published as a series in the Times Review, the official newspaper of the Diocese of La Crosse, from August 4, 1999 to January 13, 2000. 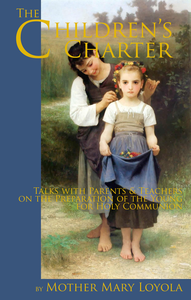 Father Hardon then published the series in the “The Catholic Faith” and urged me to publish the complete commentary in book form, together with questions to assist the Marian Catechists in studying this important document. Finally, I have completed the mission which Father Hardon gave to me. 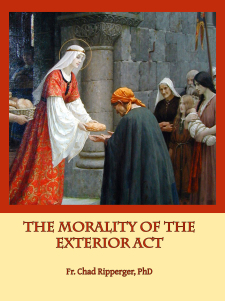 It pleases me to publish this commentary because of my hope that it will be of help to the Marian Catechists and to all catechists in carrying out their fundamental apostolate. May God grant that the Commentary bear abundant fruit for the handing on the Catholic faith and its practice through catechesis for the new evangelization!